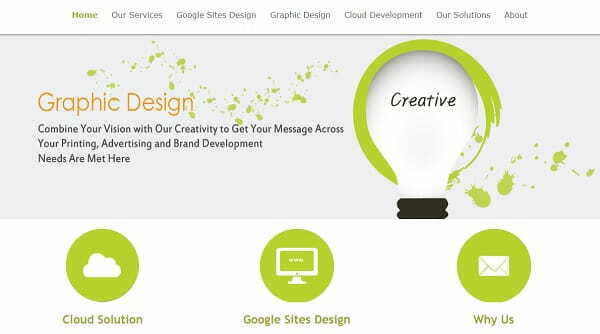 Google Sites claim to be a flexible and versatile website building platform to create different types of sites from scratch. It brings enough cloud-based capacity that makes it possible to centralize videos, slideshows, various formats of documents and more to create a professionally looking website despite the field or industry. Google Sites deliver a fully hosted platform, which means no third-party servers or additional software to maintain or deploy. 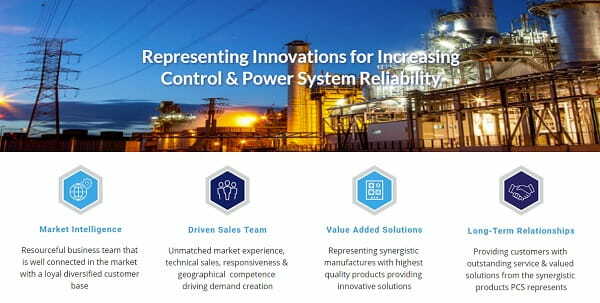 Moreover, the platform comes with some fundamental benefits including the great capacity to operate across the operating systems. Google Sites boast functionality and built-in control system that ensures site-level digital security. But, is it really so good for beginners who want to build a solid portfolio, company’s website or blog? We have reviewed some of the best Google Sites examples to showcase their benefits and features. They will let you decide whether the platform meets your requirements. Bnhservice.com showcases a site that delivers cloud development services in addition to graphics and web design. The homepage looks laconic and neat with all necessary sections clearly displayed in the header. The slider adds some dynamics to the page making it look up-to-date. Moreover, it connects a user with other website sections. The site has its own blog. Although it looks not as bright and capturing as some more professional blogs, it still has blog archive that divides articles by months and years. The “About Us” section has the Google Map integrated with the page. The site makes a good impression though it still requires some corrections to make it look more professional especially when it comes to the blog. How to Find Us page has integrated Google Maps and the written address. Although the website may seem to be a bit primitive, it has all necessary sections and features, Google Calendar with all meetings in one place, photos from church meetings, contact information, etc. Electricpcs.com website depicts a more professional company’s website. It features a good-looking design with custom icons ay Home and Services pages. They are used for stressing the core benefits, types of services and solutions the company provides. The general impression is not bad. The site looks professional due to the wise and simple structure. It is clear to the user what kind of info it is supposed to deliver. Although it does not boast animation or UX design like some more professional sites, all sections are easy to locate. The Product section provides a full product description available in PDF files making it simple for the customer to download and keep the info in case of necessity. 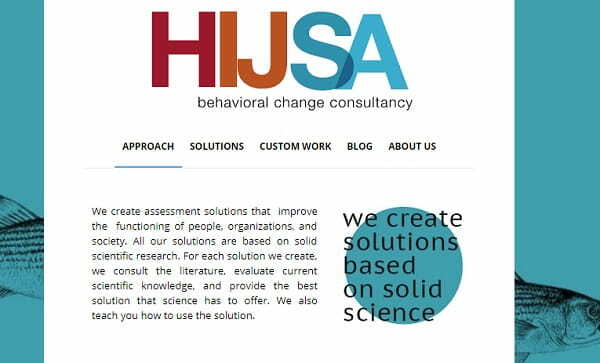 Build with Google Sites, Hijsa-bcc.nl makes a good impression at first sight. Another proof that the platform lets users build a good-looking and stylish website. It looks extraordinary and capturing at the same time. The company deals with consultations and recommendations related to organizational structure and talent selection. The website looks cheering and uplifting thanks to a flexible template. It has a blog section that is more professional if compared with website #1 on our list although it is still far from perfect. All articles have short previews, publication dates, and images. It makes the blog look a bit more professional. The website has social sharing buttons though one will hardly find them even if he wants to. 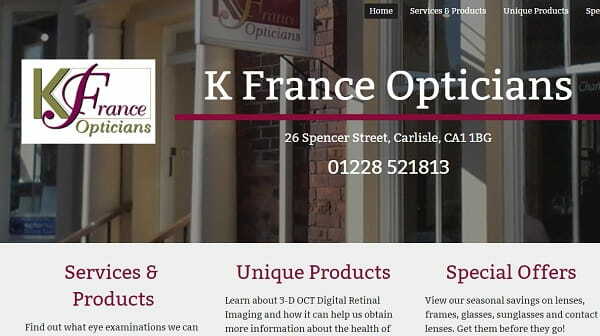 K-france.co.uk looks like a good solution for a small local company that provides various eye services. From tests and examinations to contact lenses and unique products – the website has a simple structure with all necessary sections divided into groups. The Opening Hours page with an integrated map and schedule is a good feature for users who want to plan their visit in advance. Apart from general contact information, the Contact page features a simple subscription form. The only obvious website’s miss is that the content mainly includes texts and descriptions. It certainly lacks some images or Team page like in the example above featuring experts and opticians’ photos. Finally, we are reviewing a solid website that represents a team of technology experts Drpete.co.uk. They offer professional assistance for those who are involved in the IT industry. At first glance, the homepage is pretty professional. It depicts all directions of the company’s competence. A user can choose the one he or she needs. A good news, we can now witness a good-looking blog built with Google Sites. It is still far from being perfect due to the lack of preview and publishing data. At least, it has some structure and archive although there are no tags that could make the article search much easier. The website has the Team page with photos and short descriptions of all experts. Google Sites can be a handy platform whenever you need a simple website with some baseline features. The list of our samples proves that the platform still has much work to do. Its blogging features requires crucial updates while some templates look less professional if compared with other website builders. All themes are limited with options. They all look the same though still reserve some customization and editing opportunities. A good thing is that Google Sites can be integrated with any of available Google apps from calendars and maps to Analytics. The platform is good for those who do not require much from their websites though still need a solid online presence.